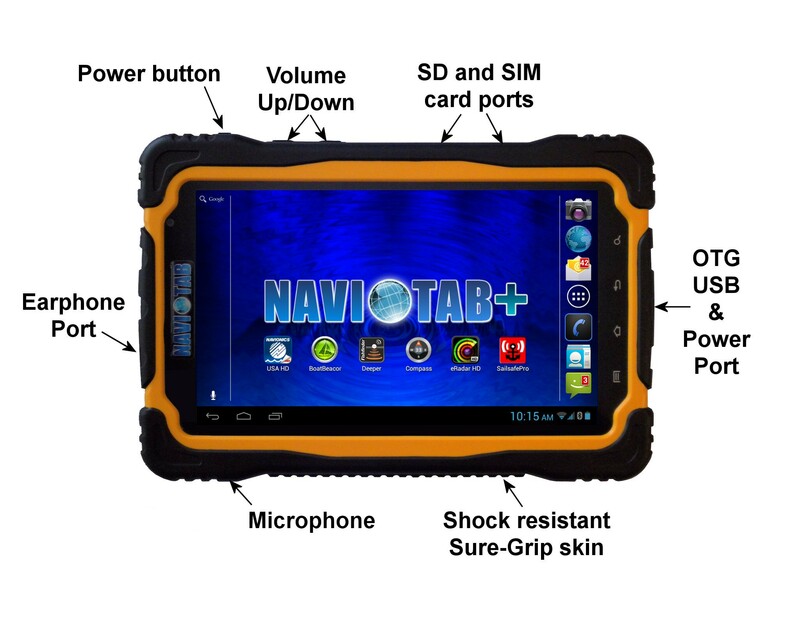 Chico, CA – August 4th, 2014 – A new IP66 rated waterproof and dirtproof Android tablet for marine use provides an all-in-one solution at a fraction of the cost of traditional separate marine electronic devices. It provides navigation, AIS collision avoidance, weather radar, weather bulletins, communications, entertainment, and optional fish finder/sounding capability in one portable device. We are pleased to announce that the upcoming NAVIOTAB+ will have a new standard feature: AIS collision avoidance radar, thanks to an agreement with PocketMariner. of the UK. 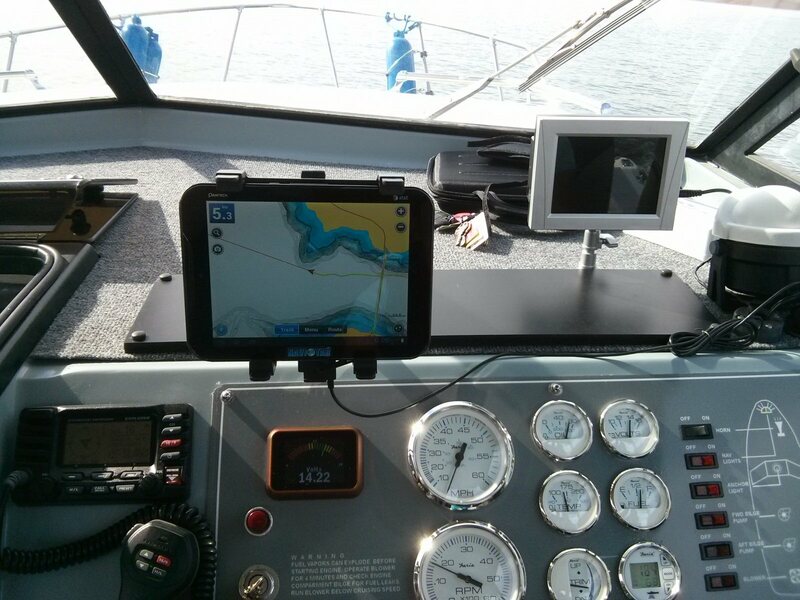 A new marine navigation table, called the NAVIOTAB+ will be released this summer, with an anticipated target date of late June. The tablet will feature all of the features found in the original, but will include several enhancements, most notably the addition of an upgraded communications system, an improved entertainment system, a more rugged and seaworthy rating, plus even an FM radio tuner. We are pleased to announced that the NAVIOTAB website is up and running, and the product is ready for shipment. NAVIOTAB is actively being sold on Ebay and at the http://naviotab.com website where there is a complete description and FAQs available, along with video demonstrations.